We Need to Go Deeper is all about exploration. Dangerous, deadly exploration. As you putter around the sea, co-op players work roles in the ship to make repairs, attack foes that invade your submersible, load torpedoes, reroute power to the shields, and just generally try not to drown. You'll also don breathing helmets and head out to the ocean floor on foot, provided you don't get eaten by, you know, death stuff. It seems like everything's trying to kill you down here, but when the call of adventure strikes, who are we to turn it down? 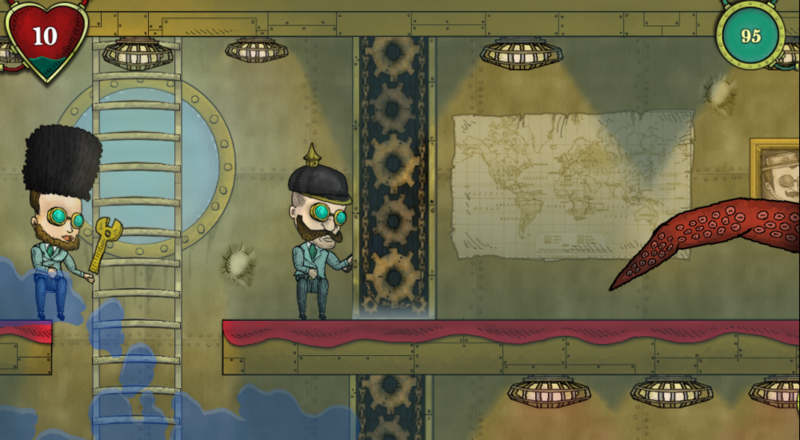 Developer Deli Interactive describes We Need to Go Deeper as a sidescrolling roguelike. Procedurally generated content keeps each playthrough interesting, while the dungeon master AI messes with the difficulty while you play. There's also full character customization and unlockable tools, not to mention all of those secrets to root out and explore. The Early Access doors are thrown open February 8th, so round up some friends and get ready to check this thing out. Page created in 1.4034 seconds.